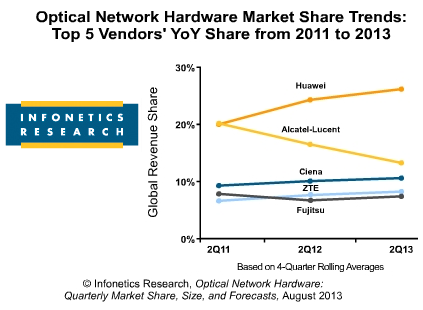 The optical network hardware market, including WDM and SONET/SDH equipment, totaled $3.3 billion worldwide in 2Q13, up 27% over the preceding quarter, according to a new report from Infonetics Research. “We expected the optical hardware market to turn, particularly in North America, and that’s exactly what happened in the 2nd quarter. Total optical spending is up 27% quarter-over-quarter, and the WDM equipment segment is up 21% year-over-year,” notes Andrew Schmitt, principal analyst for optical at Infonetics Research. HP introduced a Graphics Server Blade powered by NVIDIA GRID GPUs. This allows up to 8 simultaneous virtual desktops to benefit from the processing performance of NVIDIA graphics processing units (GPUs). 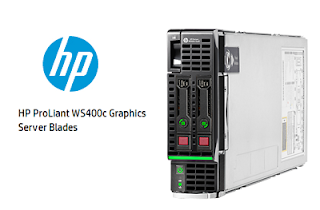 HP said its Gen8 server with NVIDIA GRID or Multi-GPU Carrier lowers the cost per user while delivering levels of graphics performance previously unavailable for desktop virtualization users. The NVIDIA GRID K1 and K2 GPU adapters also enable multiple media-rich PC or high-end graphics users per blade by providing graphics capability to each virtual machine. 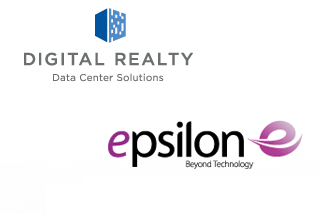 Digital Realty, which owns 127 data center properties worldwide, has signed a network partnering agreement with Epsilon to offer a dynamic bandwidth solution in London to cloud and content providers for seamless backbone connectivity. The new platform facilitates enhanced connectivity for cloud and content providers from Digital Realty's London-area data centers with seamless interconnectivity to over 65 data centres globally. Epsilon is a privately owned communications service provider specializes in operating high-density metro connectivity platforms. It operates an extensive global network exchange, powered by BTI's intelligent networking software and systems, to enable the delivery of on-demand metro connectivity services. Epsilon has created an application-aware network to rapidly scale capacity to support 100G connectivity and facilitate on-demand switching of cloud-based application workloads between data centres. The partnership initially involves the establishment of points of presence in two of Digital Realty's data centers in the UK (Chessington and Woking). The connectivity platform will operate on a major dark fiber ring, commissioned by Digital Realty, and connecting to 22 key London-area Internet and metro gateway centres. Further expansion across Europe is contemplated. 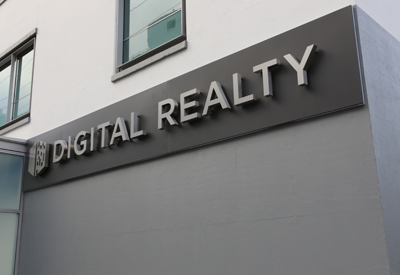 "Our goal is to provide flexible solutions that accommodate the evolving needs of our customers' businesses, now and in the future," said Bernard Geoghegan, Managing Director, EMEA, for Digital Realty. "Our London-area customers require on-demand and rapidly scalable automation of their bandwidth as part of their data centre solutions. We are pleased to offer this platform as we continue to build the Digital Realty Ecosystem across our portfolio in Europe and globally." "Epsilon's global network exchange, powered by BTI's Cloud Networking Solution, provides the platform that we believe will help us achieve our distributed cloud data centre vision," said Robert Bath, Vice President, Engineering, at Digital Realty. "We expect the solution to attract a new class of global cloud and content provider customers to our data centres." "We see growing demand from data centre customers for our outsourced connectivity model and this agreement with Digital Realty reaffirms our commitment to supporting cloud and content connectivity development," said Andreas Hipp, Chief Executive Officer at Epsilon. "As a global provider, we are driven by service excellence and agile operational objectives. Working with BTI helps us achieve our dual mission by simplifying network operations and increasing service velocity, while enabling the introduction of new cloud connectivity services." The Optical Internetworking Forum announced a new, second project for a pluggable coherent optics transceiver (CFP2) module, saying standardization of a micro Integrated Coherent Receiver (ICR) will enable component manufacturers to quickly ramp up production while also reducing the cost and time to market for high volumes of pluggable modules. The OIF Physical Layer Users Group is working to specify the surface smoothness and flatness of optical modules, which are key elements for thermal management by helping to improve heat dissipation. For CEI-56G, simulations of this proposed interface were presented to members of the Physical and Link Layer (PLL) working group. The CEI-56G work effort potentially supports both narrower 100Gbps as well as 400Gbps efforts. The E-NNI Recovery Amendment adds extensions to the E-NNI to allow automated backup from failure or maintenance in multi-domain carrier networks, a critical feature of the optical control plane. The OTNv3 Amendment adds updates to the E-NNI to support the latest OTN control plane standards, now supporting rates from 1Gbps up to 100Gbps. The Carrier completed documenting an initial set of carrier requirements for Transport SDN, providing a framework for Transport SDN in a multi-domain carrier network and identifying requirements on signaling network, control plane and management for deploying SDN in a reliable, secure and high performance manner. OIF members are reviewing this document before it is available to the public. In addition, the OIF announced the election of Evelyne Roch of Huawei as the Networking & Operations Working Group chair and plans for workshops on Next Gen efforts and Transport SDN in early 2014. New Members to date in 2013 include Google, KAIST, Mellanox, Optelian, Ranovus, Sandvine, TELUS and US Conec. 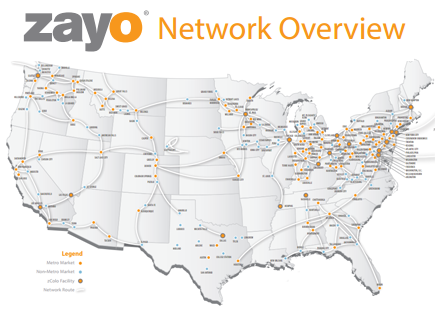 Zayo agreed to acquire Access Communications, a metro network operator in Minneapolis-St. Paul, Minn., for $40 million. Access owns and operates a 1,200 mile metropolitan fiber network that covers the greater Minneapolis-St. Paul metropolitan area, connecting more than 500 on-net buildings, including the area’s major data centers and carrier hotel facilities. Access is primarily focused on providing dark fiber services to a concentrated set of Minneapolis area carrier, enterprise and governmental customers, particularly within the education segment. 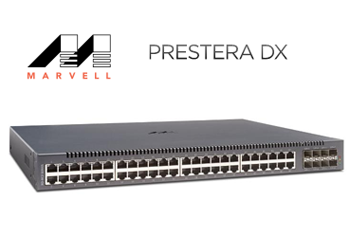 Marvell introduced its Prestera DX4200 series of packet processors for the access and aggregation layers of fixed and mobile networks. The new product family, which represents the eight generation of Marvell switching silicon, is implemented in 28nm. The design integrages multi-core ARM v7 CPUs, a carrier grade traffic manager and a flexible IPv6 packet processing pipeline to enable dynamic software defined networking and advanced service virtualization. It supports CAPWAP, MPLS, VPLS, OAM, SPB and Bridge Port Extension, and offer synchronization features. An integrated InterLaken interface also enables the development of transport and circuit switched solutions while leveraging the service enabling paradigms of the DX4200. The integrated traffic manager offers hierarchical flow based quality of service and massive external buffering enabling tens of thousands of applications and users through unique queuing schemes that insure no variance in user experience across different access models. Sampling begins in September. "As demand for higher service density per watt increases, Marvell is uniquely positioned to offer platforms for the software defined storage, networking, mobile and compute clouds being designed today," said Ramesh Sivakolundu, vice president for the Connectivity, Services and Infrastructure Business Unit (CSIBU) at Marvell Semiconductor. Dacom Crossing, a Korean provider of international IP communications, has deployed the Infinera DTN-X packet optical networking platform connecting Seoul, the terrestrial backhaul network and the EAC Korea landing station. Dacom Crossing provides wholesale services to Tier One carriers, ISP’s and content providers. The Infinera Intelligent Transport Network, featuring the DTN-X, enables Dacom Crossing to offer 10, 40 and 100 Gigabit Ethernet (GbE) services in addition to existing International Private Lease Circuit services up to 10 Gbps. 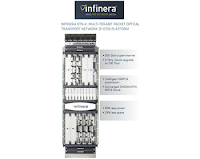 This marks the first deployment of Infinera's solutions by a Korean network operator. Digital Realty Trust, which has 127 data centers around the world, has completed the refinancing of its global revolving credit facility and term loan. The refinancing allowed the company to reduce pricing, extend loan maturities and increase its aggregate commitments by $450 million. The combined facilities total $3 billion, representing the 5th largest unsecured credit facilities among US REITs. The refinancing provides funds for acquisitions, development, redevelopment, debt repayment, working capital and global expansion. "We are very pleased with the strong demand we received from the international lending community to participate in the refinancing of these facilities, which were oversubscribed with commitments totaling $4.6 billion from 27 financial institutions from around the globe," said A. William Stein, Chief Financial Officer and Chief Investment Officer of Digital Realty. "To satisfy this demand, we upsized our Global Revolving Credit Facility by $200 million and increased our Term Loan by $250 million. In addition, the improved pricing grid is equal to or better than any widely syndicated credit facility for a U.S. large cap investment grade REIT, including those with a credit rating higher than DLR's BBB/Baa2 rating. We believe these positive trends illustrate the institutional lender community's view on the strength of our balance sheet and underlying business, while providing us with greater financial flexibility as we continue to expand our portfolio globally."